From baskets to organisers and chairs, Sabeeha Cane Industry is a great place to pick up furniture when you are on a budget. Plus, they customise furniture too. Getting durable and good looking furniture without breaking the bank can be quite a task in this city of ours. Thankfully, a bunch of shops in Malleswaram are here to help. 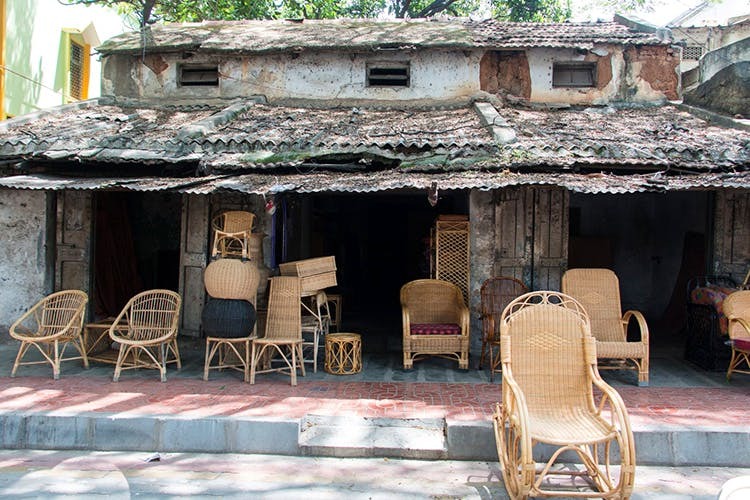 Just a short walk from KC General Hospital’s main gate (owards Devaiah Park), there are row of shops, on either side of the road, that specialise in all sorts of cane furniture. We browsed through them and, for us, Sabeeha Cane Industry was a great find. Housed in a derelict building, the shop stocks all kinds of cane furniture. Plus, their furniture is better designed and less run-of-the-mill, we think. Looking for baskets and other knick knacks? Head to Metro Cane Arts right next to Sabeeha. They have a lovely collection!